John Glenn, who died Thursday at age 95, was an American hero: a trailblazer in science and a devoted public servant on Earth as well as in the heavens. He was also a man of deep faith, with a vantage point on God’s handiwork that few humans experience. As the first American to orbit the Earth, Glenn was an example to those who came after him not just for his bravery and scientific acumen but also for his faith, Mark Shelhamer said Thursday. 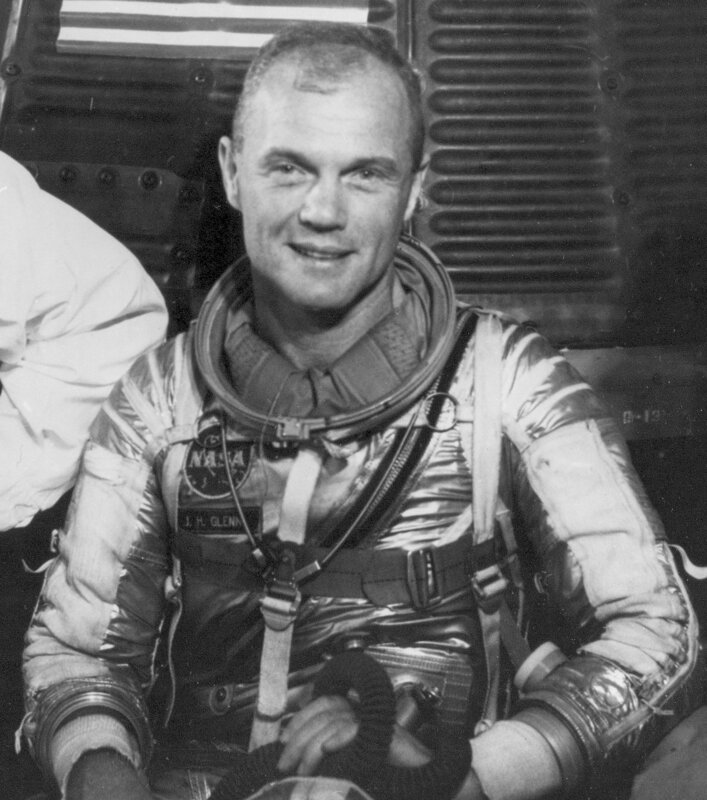 “John Glenn is always used as that paradigmatic example of somebody who had a strong faith before becoming an astronaut, and for him it was reinforced by his experience in space,” said Shelhamer, a Johns Hopkins University medical professor who recently served as the chief scientist for human research at NASA’s Johnson Space Center. There have been many astronauts who followed Glenn who found their experiences in space to be singular moments that deepened their faith in God. James Irwin came back from walking on the moon convinced that he should dedicate his life to his religion and founded the evangelizing High Flight Foundation. He died in 1991 at age 61. Buzz Aldrin, who was an elder at his Presbyterian church, decided as one of his first acts during man’s first landing on the moon to serve himself Communion. “In the one-sixth gravity of the moon, the wine slowly curled and gracefully came up the side of the cup,” he said later, describing the moment. “You will hear this from astronauts not infrequently – that they have felt the kind of oneness of humanity,” Shelhamer said. Science and faith could coexist at the very highest levels, he insisted – just as they had in his life. Next Next post: Israel’s Submarines Acquisition – Strategy or Greed?